The fate of the League 2 title will not be decided when first plays second on Saturday, but it would go a long way in helping it one way or another. Lincoln City have set the pace for the most part this season, but MK Dons have also laid claim to the summit. With six games remaining, Dons and Lincoln are separated by one position in the division, but Danny Cowley’s side are sitting on a comfortable eight point cushion. 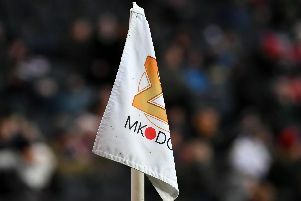 A win for Dons at Stadium MK though will certainly heat up proceedings, moving them within five points of the leaders with 15 points left on the board, giving the Imps little room to slip up. Defeat on the other hand could see them drop out of the top three all together, with Bury, Mansfield anmd Tranmere all lurking and ready to pounce. Form heading into the clash is likely to count for nothing, but Lincoln are yet to be beaten in League 2 this year, looking back to Boxing Day for their last defeat. Dons too are in a great run, most recently beating promotion rivals Forest Green to move up to second, having tasted defeat just once in their last nine games. The clash earlier in the season at Sincil Bank in late September saw Lincoln net a stoppage time winner, coming from 1-0 down to hand Dons their first defeat of the season, but saw them drop to 13th in League 2. For defender Russell Martin, taking on the leaders with six games remaining, and with Dons still in with a shot at the League 2 crown, games do not come much better than this one. “The bigger the better,” he said. “If you’re fighting for promotion, they’re all like that. But we’ve got to enjoy games like that, and we’re better when the games are like that. “When there’s something to fight for, either going up or staying up, there’s that bit of anxiety. “If you want to get promoted, you have to beat those teams anyway. It’s a four or five horse race into three, so we need to focus on that. It’s nice to be in the fight though.